Information will be sent later. The Vertical ID Badge is made from plastic card material that is 30 milligrams thick. A professional resin thermal encoder machine is used in printing the ID to create a professional looking, durable and long lasting card. The card is laminated on both sides for extra durability. 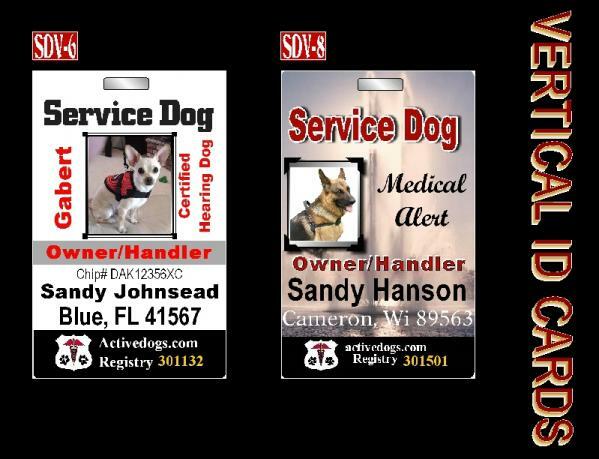 If it is a Service Dog ID, we will put the ADA information (American with Disabilities Act) on the back of the ID. This information addresses the issue of permitted access to public buildings. 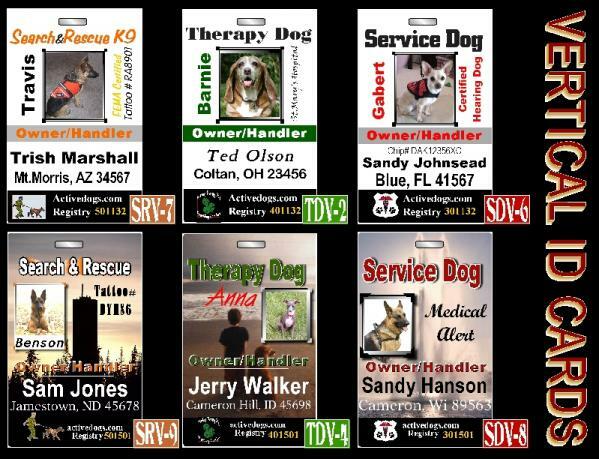 On the back of the Therapy Dog or Search & Rescue ID's, we put a statement about the work that these dogs perform. The slot at the top allows you to: 1) Place it through the snap hook that is on our cape or padded harness vest. 2) You can purchase a plastic & metal clip or split ring clip if you want to attach the ID to a bag, coat, collar, etc. 3) You can purchase a lanyard and hang the ID around your neck. 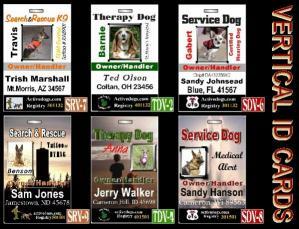 To send us your dog’s photo and your information, click on the ID Information Form. Photo shots of your dog's head are best, but we will edit (as best we can) another photo. This card will be entered in the Activedog's Data Registry. 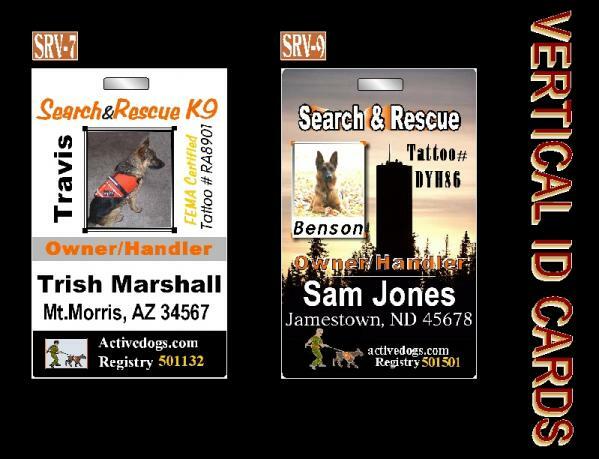 Activedogs.com is not a certifying agency, nor do we accept any responsibility for information that you have us put on your ID badge.